Put your contact lenses in before you put your makeup on. Why? 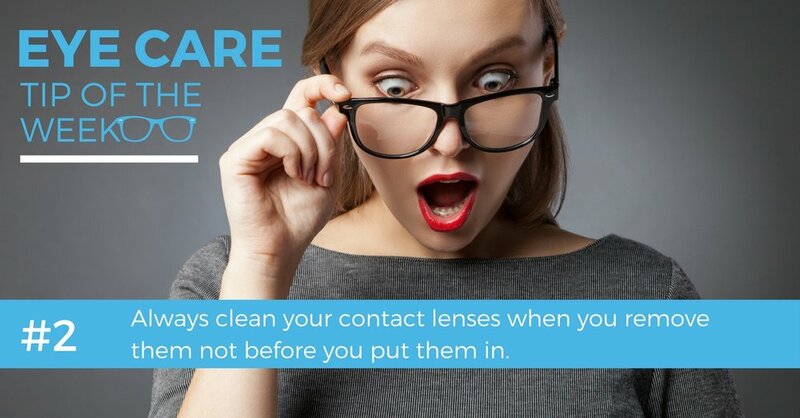 Debris from your lids and lashes can get trapped behind the contact lens. This debris can cause small scratches and irritations to the surface of your cornea and may lead to an eye infection. Residue from foundations and creams may remain on your fingers and be transferred to the surface of your contact lens. This buildup can further increase protein deposits and may result in reduced visual clarity out of your contact lenses. Glitter from eyeshadows and mascara particles can cause tearing and irritate your eyes throughout the day. These issues may often be confused with dry eye or allergy symptoms. If you think you are suffering from allergic conjunctivitis, read this post, 'I want to scratch my eyes out'. This Eye Care Tip of the Week was brought to you by Dr. Tiffany Lim.